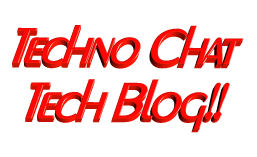 generate batch script log | Techno Chat|Tech Blog!! BAT/CMD scripts are very much helpful to do a monotonous job automatically and sometimes the outputs of the batch script file are very much required. We can generate log file from batch file, but we can’t get the 100% log within batch file, so I was looking for a tool which generate log files from a batch script. After a few search, finally I found a tiny utility called wtee.exe on wintee. To use it properly, I have created a batch file with which u can execute any batch script, and after executing the batch file it will automatically archive the entire output log, also there is an option to send mail notification with the output file as mail attachment (optional). For sending mail notification I used blat.exe from www.blat.net. Posted in Scripts, Server, Windows. Tagged bat log creator, Batch file log generator, cmd file log generator, generate batch script log, Script Log Generator, wintee, wtee, wtee log generator.